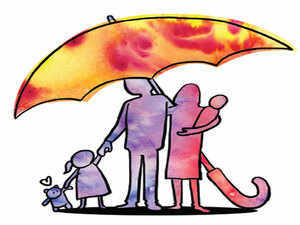 Insurance regulator Irdai has proposed several changes in pension and insurance plans. Most of the proposed changes are likely to benefit the policyholders. The insurance regulator has proposed raising the lump sum withdrawal limit on maturity of pension plans to 60% from the existing 33%. This will provide policyholders the flexibility to employ their money as they deem fit. Besides higher tax-free lumpsum withdrawal, the regulator has also proposed to allow policyholders to make partial withdrawals after the five-year lock-in period. Such withdrawals will be allowed thrice during the policy tenure and be capped at 25% of the fund value at the time of withdrawal. As with other retirement-oriented products, withdrawals will be allowed only for four goals—higher education, children’s wedding, purchase or construction of a house and treatment of critical illness of self or spouse. Insurers may offer discounts on mortality and morbidity charges for investment-linked plans. This will depend on people’s health situation, monitored via wearible devices. “The insurer may use wearable/portable devices, technology, to capture the health score of the policyholder during the term of the policy,” reads the draft. If the proposal goes through, insurers will factor in the health score to arrive at policy premiums. “Insurance is likely to change from being a product that you purchased once into a service with which you engage regularly,” says Manik Nangia, Director, Marketing, and Chief Digital Officer, Max Life Insurance. Currently, insurers are required to offer a minimum cover of 10-times the annual premium to those under 45 and 7-times to those over 45. Now, the onus will be on policyholders to negotiate a cover that is at least 10-times the annual premium—a must to gain Section 10(10D) tax benefits. “Lower life cover does not make sense as insurance is a protection product and high life cover should be its integral feature,” says Suresh Sadagopan, Founder, Ladder7 Financial Advisories. Keeping the premium same while lowering the cover and investing part of the premium that would have otherwise gone into mortality charges may not lead to higher returns. “If people don’t get tax benefi ts, due to noncompliance with the Sec 10(10D) provisions, the post-tax returns will be poor,” says Sadagopan. Reversing its decision on purchasing the annuity and the deferred pension plan from the same insurer, Irdai has now proposed to offer greater choice to policyholders. “This move will ensure that the pension segment takes off after a lull,” says Anil Kumar Singh, Chief Actuarial Offi cer, Aditya Birla Sun Life Insurance. Choice apart, policyholders may benefi t from better returns too. “Making it an ‘open market’ will mean more competition, which will lead to better interest rates offers by the insurance companies, given the risk of losing a portfolio to somebody else,” says Santosh Agarwal, Associate Director and Cluster Head, Life Insurance, Policybazaar.com. Increased competition could also result in better products with innovative features. “Returns will always be the most important factor but there could be other value additions as well,” says Kapil Mehta, Co-founder, Securenow.in. The key to developing the market substantially, though, lies with the policymakers by making annuities tax-free in the hands of the annuitants. From the existing three years, the lock-in period to get the surrender value from traditional endowment plans has been proposed to be cut to two. “The penal surrender value factor should not be a tool to ensure persistency. Rather, persistency should be maintained through the right product construction and benefits along with selling the products suitable to customer needs,” says Sadagopan. The proposed norms also state that the maturity value cannot be less than the premiums paid, which had been an issue with some products bought by those in higher age brackets. “The surrender value of non-linked products has been increased in the early years of the policy and clearly specified in later years at 90% of the premiums paid. This is beneficial for policyholders who want to exit,” says Mehta.